Access these tools with your ULS email username and password when off campus. Welcome to United Lutheran Seminary's Library online! We hope that we can help you in all your research needs. Listed on the right, you can find the tools we recommend for research in various subject areas. Eventually, each guide will have a short description of the kinds of information accessible to you, a few key starting points, and a list of all relevant databases and websites to your topic. If you know the name of the database you want, click here to see an A-Z list of all available databases ULS subscribes to. Otherwise, look to the left for a list of key databases. The ULS library provides joint library services to seminary students at Lutheran Theological Southern Seminary through the Eastern Cluster of Lutheran Seminaries. A wealth of resources are available to all our users; even without LTSS, the library is one of the largest independent seminary libraries in the United States, with over 390,000 volumes available to researchers and an additional 120,00 available at Southern. We are slowly growing our digital collections, with over 39,000 ebooks available to our current students. The ULS Library maintains relationships with several library consortia. Please go to the Borrowing at Other Libraries page for more information. All alumni of ULS, LTSG, and LTSP have access to ATLASerials for Alum. Please contact the library or the Advancement office for information on how to access this wonderful full-text resource from your home. View the full calendar, hours over intensives, breaks, and closing dates by clicking here. The A.R. Wentz Branch of the United Lutheran Seminary Library traces its roots to the very formation of Lutheran theological education in the United States. Benjamin Kurtz, of the Evangelical Lutheran General Synod, solicited contributions of money and books for its new seminary in Gettysburg, PA. The library still possesses those first donations. 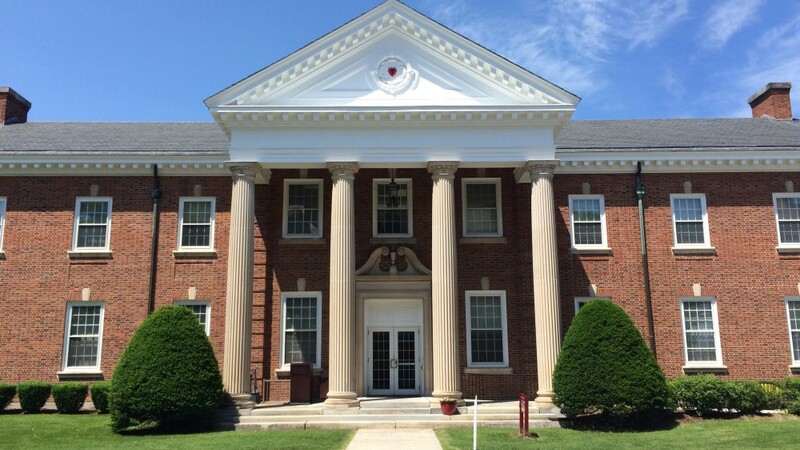 Originally located in the seminary's main classroom and administrative buildings, the current library structure was built in 1947. Today, the Wentz branch houses a collection of over 180,000 books. The Gettysburg Seminary Archives, and the Archives of Region 8 of the ELCA are a part of the Wentz Branch Collection. The Wentz Library is located at 66 Seminary Ridge, Gettysburg, PA 17325. Parking is available to the North of the building as well as directly behind. The public entrance is on Seminary Ridge. Hours can be found on the library home page or on our Google calendar. During the library's regular operating hours, members of the community are welcome to come and research in our collections for free. To check out materials, you'll need a library card, which has a $50 fee for anyone who is not an alum of the seminary. If you think you'll need access to materials that are in closed storage or have an archives-related research purpose, please email us at least a week in advance to ensure we'll be able to assist you. The Wentz Library has multiple study locations throughout. Students can also request the use of a storage cubby if they are studying frequently in the library and need a place to keep checked out materials for easy reference. In the lower level is the Luther Room, available for group study, as well as multiple study carrels spread out around the lower level. Additionally, the Library Living Room is on the first floor near the periodicals collection for informal discussion. Students can gain after hours access to the library by filling out the Wentz Branch After Hours Form and presenting it to the library staff. Most requests for after hours access are granted within 2 business days. The Charles Porterfield Krauth Branch of the United Lutheran Seminary Library traces its roots to the founding of the Philadelphia seminary, with the earliest books coming from or acquired by Carl Rudolph Dimme, pastor of St. Michael's, Germantown, and expanded upon by core faculty, including Dr. Krauth and Charles Frederick Schaeffer. The current structure was built in 1908 and was added onto in the 1970s and 2016. Today, the Krauth Branch houses over 200,000 volumes, including an extensive collection of rare books, focusing on the reformation and Lutheran scholasticism. Archives for Region 7 of the ELCA are not a part of the library, but can be found on the Philadelphia campus at the Lutheran Archives Center at Philadelphia. 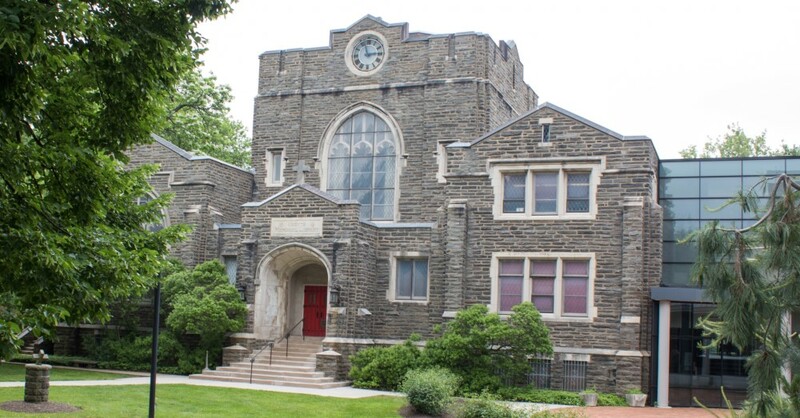 The Krauth Memorial Branch Library is located at 7301 Germantown Ave, Philadelphia, PA. Parking is available. Enter the library from the Brossman Center atrium via the ADA-compliant Breidegam Library Connector. During the library's regular operating hours, members of the community are welcome to come and research in our collections for free. To check out materials, you'll need a library card, which has a $50 fee for anyone who is not an alum of the seminary. If you think you'll need access to materials that are in closed storage or is a rare book, please email us at least a week in advance to ensure we'll be able to have the material available to you. The Krauth Branch Library offers students many different study spaces. The Breidegam Library Connector and Directors' Lounge are available whenever the Brossman Center is open. Additional study spaces are available in the Lillian Scoggins Music Room, where students are welcome to relax while reading or by listening to any of the seminary's many CDs. Computers are located both in the Directors' Lounge and in the library proper. Two different spaces for quiet contemplation are available. The Krauth Memorial Library Meditation Room is located next to the Directors' Lounge and is a small space, offering opportunities to meditate and reflect in the presence of many religious icons, donated to the seminary by Dominic dePaul in memory of William "Bill" Rarick. On the second floor, the Upper Rotunda Labyrinth is available for walking meditation. Welcome to all alum of United Lutheran Seminary, Lutheran Theological Seminary at Philadelphia, and Lutheran Theological Seminary at Gettysburg. Alumni of all three organizations have free borrowing privileges at the Philadelphia and Gettysburg branches of the United Lutheran Seminary Library. Checkouts are for 4 weeks at a time, with fines accruing if the materials aren't returned on time or renewed. We are always excited to see alum using our on-site resources and the library staff are happy to help you with your research needs. Unfortunately, we do not offer book borrowing via the mail to alumni. Formed in 1999, the Eastern Cluster Lutheran Library is most simply defined as "one library under three roofs." The library branches of Krauth Memorial (Philadelphia), A.R. Wentz (Gettysburg), and Lineberger Memorial (Columbia, SC) are its members, sharing a single online catalog, offering each other reciprocal borrowing & lending, cooperating on acquiring print resources, and regularly communicating with each other on issues and concerns in theological education & library needs.